Robotae exhibited at the third annual RoboBusiness Europe in Milan on April 27-30, 2015. 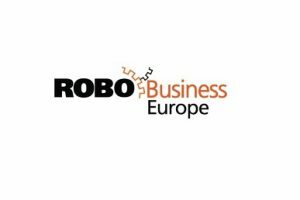 RoboBusiness Europe is Europe’s premier robotics business-to-business networking event, and aims to connect robotics developers with their end-users, providing developers a chance to understand the needs of the end-users and showcase new developments. The event allows extensive discussions about strategies for bringing robotics to market, including topics such as: how-to tactics, financing, building partnerships, marketplace strategies and commercialization. The event is targeted at the European robotics marketplace and covers the most exciting sectors of the robotics industry. Find out more about upcoming RoboBusiness Europe events at www.robobusiness.eu.